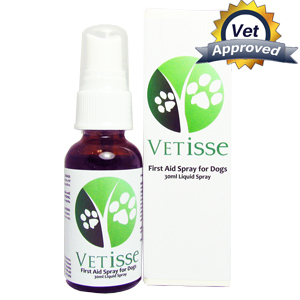 Vetisse First Aid Spray is an all natural formula designed to promote healing of scratches, cuts, bruises, and wounds in dogs. Not only does Vetisse First Aid Spray for dogs support healing, but it reduces the negative effects of infection so your dog’s wounds normalize quickly and without complication. Vetisse First Aid Spray can be sprayed on affected areas or applied as a poultice. This excellent first aid treatment also helps with toxins, pain, and to promote healing naturally. First Aid Spray for dogs should be sprayed on the affected areas for optimal healing, 4 to 5 times a day until the area has healed. Place gauze on the infected area once you have sprayed the remedy so that it can better retain the product in your dog’s wound. This remedy can also be used as a poultice. 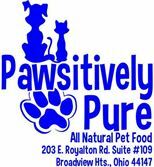 Due to the Tea Tree oil within First Aid Spray this remedy is not recommended for cats and especially not recommended for kittens as this ingredient can harm young kittens.